Loyalty programs are worth investing in: increase revenues by creating an active relationship with your customers! This is what we mean by „loyalty“! Everyone knows that acquiring new customers is more expensive than retaining existing ones. Did you also know that existing customers generate higher sales, are less price sensitive and less demanding on your service channels? Ensuring customer loyalty is the most important task in the customer-centered alignment of your business. We have many years of experience in helping our clients with the specific challenges of either creating a new customer loyalty program or improving an existing one. We work closely with you to design customized loyalty strategies that form customer loyalty solutions tailored to meet both your needs and those of your customers. At your request, we can also optimize existing loyalty concepts. We don´t just assist you with the usual customer loyalty methods such as loyalty cards or coupon campaigns, we also advise you on choosing the right innovative digital solutions such as e- and m-loyalty. We work with you to define your operational and strategic goals, implement holistic measures and to support you in the technical design and operational implementation phases. Do you already run a loyalty program and want to have it evaluated? Are you thinking about implementing a loyalty program? Your customers are the center of individual campaign solutions! Successful campaign management means creating relevant and targeted stimuli for your customers along the customer journey. It forms the basis for the successful marketing of your products or services and for creating long-lasting, active relationship with your customers. For complex omni-channel campaigns, the challenge is to ensure transparency in terms of costs and timelines, especially when different target groups are being addressed differently. These challenges are a fundamental element in the design of various dialogue programs and the subsequent campaign automation. Let us help you to realize the full potential from your customers. We act as a strong partner to provide you with specific support and advice as part of our business process outsourcing service in the area of campaign management. We provide support from the planning stage, through to the presentation, the analysis and optimization of campaigns. Our campaign managers can draw on extensive experience in dealing with various target groups and omni-channel campaigns. We can also provide you with help in running standard campaign management tools. We develop and manage tailor-made campaigns focused on specific target groups, based on your company strategy and philosophy. You will benefit from our cross-sectoral expertise. Do you want to optimize your campaigns or even develop new innovative omni-channel campaigns? Alternatively, do you need support in streamlining your campaign management processes? Transform knowledge gained from understanding customers and their behavior into a success factor! The markets are increasingly focusing on the customer´s crucial role. Companies need to understand their customers and their behavior to provide them with the right offers at the right time. Our experts support you in this challenge with their many years of experience. We show you the right way to analyze and interpret your customer data, an elementary tool to bring transparency to customer and business development. The insights gained will allow you to become more responsive to your customers, to optimize internal business processes and to adapt them even more to meet your customers´ needs. Get to know your customers and align your company to meet their present and future needs. Benefit from our deep knowledge in statistical, data mining and machine learning as well as our extensive experience in the application of a wide range of analytical software (i. a. R, SAS, KNIME). Do you want to generate a sustainable benefit for your company by utilizing your existing customer data? Are you looking for a suitable big data architecture to achieve this goal? Use customer data profitably throughout your company! Companies need to hold their own in an increasingly compeitive market. Increased insight about customers and its consequences for your own business is a clear competitive advantage. The Capital Activation section provides you with answers to complex questions such as assortment decisions, pricing, location strategy or competitive positioning. Your customers are your capital and we help you to activate them sustainably. We collaborate with you to cover the needs of the different customer segments. Our expertise and data-driven decisions will show you how you can base your company decisions more thoroughly with targeted Capital Activation projects. You will use the potential and data that is already available and thus will minimize the cost-intensive process of new customer acquisition. In addition, it will be possible to make promising decisions regarding the product range and pricing and to influence the company´s posittive development. Do you want to generate sustainable value for your company from your existing customer data? Do you want to optimize and improve your customer communication based on this knowledge? 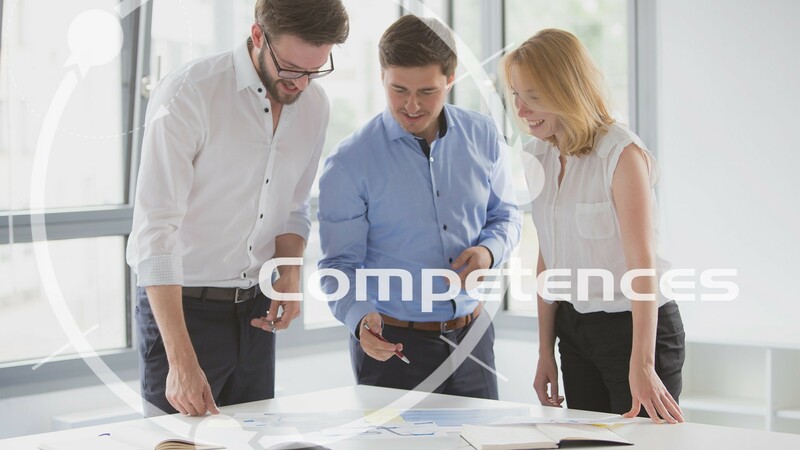 To implement the concept of Customer Centricity successfully throughout a company requires a comprehensive methodological expertise in the planning phase, through to the rollout and operational activity. This involves recording process requirements, creating concepts and project plans and monitoring resources as well as implementation budgets during the implementation phase. Integrating the project and organizational resources ensures that your employees are more likely to embrace these changes within the company. Our expertise in these areas forms the basis for implementing measures to satisfy our clients. We help you to gain sponsors and in budget allocation, as well as in creating a project plan and integrating it into the company´s daily business. Our methodological knowledge is also certified, such as with our SCRUM Masters. We will also advise you on how to create both customer and technical requirements, to design specifications and integrated process- and IT architectures and to check technical implementations. Here, we always consider the customer´s view and that of the business units involved and ensure acceptance and quality.to sustain high levels of usage.